Nativa Tours: tour operator company in Panama, English speaking staff. We offer all kinds of touristic services in Panama such as Darien, Embera Tour, San Blas, and much more! Come visit us on our website! San Blas Sailing: company specialized in shared and private crewed cruises in the San Blas Islands since 1998. We have all types of sailing boats, from Monohulls to Catamarans, from Economic to Deluxe categories. 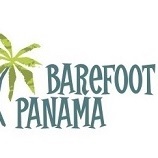 We are Panama's original diving operator since 1981 specializing in serving the American, European and local market. Based in Panama City, we offer a variety of both Caribbean as well as Pacific Ocean dives, plus popular historical dives in the Panama Canal. You can also experience snorkeling, fishing and canopy/zip line tours, whale watching and beach day in our private island where you can enjoy our kayaks and zayaks. Our centrally located store sells equipment for all your diving needs. PANAMA TRAVEL CORP is a Travel Marketing Company specializing in Panama and Central America with an office in Panama. The company provides web marketing services to companies and individuals worldwide and sells advertising in its network of Panama related websites. As part of its services, Panama Travel Corp coordinates lodging, tours and transportation services on behalf of its foreign clients. We have on board a group of specialists that are trained and motivated to provide a quality service to the tourist industry all around Panama; our team includes bilingual experience guides, professional drivers and naturalists. Panama's Pacific Beaches..." The Gold Coast ". Transfers are customized to meet individual's needs. Let us know what yours are ! 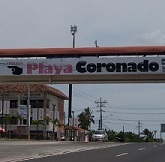 Go to the Colon Free Zone or take a tropical tour to San Blas! Panama Roadrunner Secure Transport is a Canadian owned company which was started 5 years ago to provide airport transfers and custom daytrips to English speaking customers. We pride ourselves on personalized service with drivers who are native English speakers who are now Panamanian residents. Our drivers are all trained in the history of the country, attractions and have the correct driver's licenses and medical insurance for your peace of mind. We have a business license for the country of Panama. Your safety and security are of the utmost importance to us! We are the #1 activity on Trip Advisor in the country of Panama! Check and see what our customers have to say about our excellent service. Let us customize an airport transfer or daytrip for you!